 The INSPIRE Conference 2017 is hosted by the School of Computer Science, University of Hertfordshire and the ACM-W UK Professional Chapter. The aim is to encourage and recognise commitment to advancing the careers of women in STEM employment and research in Higher Education. This one-day conference will provide a gateway to hear from world-leading speakers from academia and industries, showcase good practice, learn new skills and form networks of like-minded colleagues. Professor Cecilia Mascolo: Professor of Mobile Systems, Computer Laboratory, University of Cambridge. Cecilia Mascolo is the mother of a teenage daughter and an eight-year-old cat named Alfie. She is also a Professor of Mobile Systems, a Fellow of Jesus College Cambridge and a Faculty Fellow at the Alan Turing Institute for Data Science in London. Her research interests are in human mobility modelling, mobile and sensor systems and networking and spatio-temporal data analysis. Most of Cecilia’s research has been multidisciplinary. She has published in a number of top tier conferences and journals in the area and her investigator experience spans projects funded by Research Councils and industry. She has received numerous best paper awards and in 2016 was listed in “10 Women in Networking/ Communications You Should Know”. She has served as organising and programme committee member of mobile, sensor systems, networking, data science conferences and workshops. She sits on the editorial boards of IEEE Pervasive Computing, IEEE Transactions on Mobile Computing, ACM Transactions on Sensor Networks and ACM Transactions on Interactive, Mobile, Wearable and Ubiquitous Technologies. Talk Title: Where’s the fun? Professor Ruth Aylett : Professor of Computer Science, Heriot-Watt University. Ruth came into computing with the UK computer company ICL in the later 1970s after a degree in mathematical economics. She made her way into academia via University computer support in the early days of micros and a lecturing post at the Sheffield Polytechnic (now Hallam University). Following work as a knowledge engineer at Edinburgh University and then in the UK National Robotics Research Centre, Ruth joined Salford University and after seven years became a Professor there in the Centre for Virtual Environments. In 2004 she moved to Heriot-Watt University in Edinburgh where she researches intelligent graphical characters, affective systems, human-robot interaction and interactive narrative. She has led a succession of international research projects in these fields and has more than 250 refereed publications. Along the way she had four children and a lot of fun. Gen Ashley is the Director of Women Who Code London and is a very active leader in the Tech community in London. Aside from her involvement with Women Who Code, she is a Lead for the following – Google Women Techmakers, NASA Space Apps Challenge, Twitter Developer Community London. Gen is also part of the leadership committee for Ada’s List (a network for women in technology). She is co-organiser of OpenTechSchool London, COED:CODE (a group about systems programming) and London Game Developers. She was the Head of Developer Outreach at Skills Matter and a former VP / Business Development Manager / Project Manager at Citigroup. Last year, she led and helped the Anita Borg Institute London and was instrumental in delivering the very first 1-Day Grace Hopper Conference in Europe, which was held in London. For a more detailed report and pictures, please visit the blog link here.